Recently, we conducted a survey to know your suggestions and wishes about RCA T-Shirts and other products for YOU. I’m glad that many of you submitted your suggestions, as this helps me understand your needs better. Moreover, we’re happy to give you what you asked for. Yes, we’ve launched the products for you! We can also create additional designs, so we welcome your feedback in the comments below! Additionally, I have another great news for you! We have hosted several webinars during the year so you might have missed some of them. If that’s the case, you don’t need to worry. You can get all the webinars of 2014 now and save $30, that’s 18% OFF! I’d like to insist that they won the event just because they studied my courses and they developed a good understanding to be able to analyse the games deeply! Delighted to see my name in the top 10 in the Christmas event. It is a perfect gift from Igor and his team, I would like to thank him for giving me opportunity. I’m also greatly influenced by his presentation in the video lessons and thank you very much. I am pleased to see I got a prize. 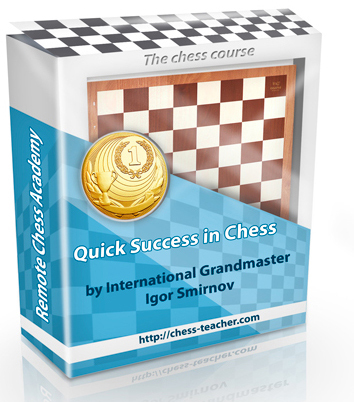 I am looking forward for the prize so that I can start studying the world’s best chess course. Once again, my congratulations to all the winners! It was very pleasant to read your analysis of the games, noticing your deep positional understanding – well done! If you want to get such understanding, then you need to study the courses “GM’s Positional Understanding” and “GM’s Secrets” now!